While it is likely that as a business person you have examined many ways and means of generating revenue, you may have overlooked the opportunity of using a mobile app because of their relative newness, and their dependence on IT. However, they can make a great addition to the revenue streams you already have going, so to find out how to utilize them read on. This is the basic format for successfully creating revenue through mobile apps. You design an app that solves a problem that a user has. Such as providing access to music, video, messaging, or organization among other things. Then the people pay for access to this. This can be via a one off fee, but to make real money from this you have to have a true mobile hit on your hands like Angry Birds, or Candy Crush. A much more profitable structure is to make the app itself free, but charge a subscription fee for the content like Spotify does. Then you are guaranteed a regular income without having re-sell to new customers each month to meet targets. However, this model does depend on having content, or a function in the app that people are willing to part with their money for. Good examples of this include games, entertainment, and photos and video apps. Meaning this model won’t necessarily suit all type of business looking to get into the mobile app market. Another way to monetize mobile apps is to charge in app purchases. These are the things that you are always getting warned to turn off when you buy your kids games on their smartphone. Why? Well, it’s usually because they are cleverly conceived to create both a desire and opportunity for the person using the app to invest in some additional content. In games, this can be coins or bonuses that make progress easier. In other types of apps, it may be a fee for special features, or access to premium areas. This is arguably a better model than the one off priced app above because if the hook is good enough customer will keep coming back. Spending more money to get the stuff they need, thus increasing your revenue stream from mobile app technology. Another way that you can harness the power of mobile app technology to increase revenue is to use your platform as a host for mobile advertising. This can be done simply and easily by using one of the mobile advertising companies that offer the ad space you have, for their clients to fill. 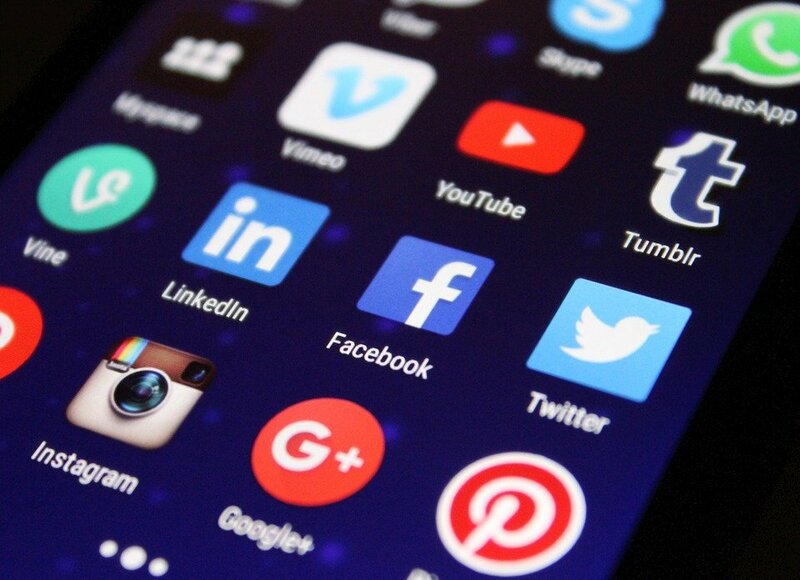 The benefit of this is that you can keep your app free, thus ensuring a positive connection with your users. While also generating a stable revenue stream. In a way it sort of works like the old idea of web pop-ups and banners, but modernized for 21-century mobile technology. However by using mobile platforms the reach of the adverts is much greater, meaning there will be greater demand for the space that you are selling. Something you can exploit and convert into revenue for your business. Whatever the nature of your business, I’m guessing you have a website. Whether you’re using content marketing to define and promote your brand to give your business a unique voice, or whether you’re an online retailer for who lives and dies by their ecommerce. There’s no denying that every business should have a website. It’s an invaluable tool, but as with any tool… It’s only ever as effective as the way you use it. If you’re not using analytics to identify who’s visiting your website, what products they’re buying or what pages they’re viewing then you’re letting valuable information slip through your fingers. Analytics are invaluable, especially if combined with an automated marketing platform like Visual Visitor which can identify which companies visitors are coming from, what products they’re interested in and even their contact information making them an invaluable form of lead generation. Facebook Insights- It’s free and it’s built in, so you’re off to a great start. You can use it to measure your post reach and see who is responding to your posts with likes and shares. You can also see data on how your page is performing over a given time period and how many visitors are engaging with your links and content. You can use this information to increase your reach and learn more about the people engaging with you. Twitter Analytics- Again, this is free to use, even if you’re not advertising through Twitter. It enables you to learn more about who your followers are, where they’re from and which topics they are interested in. It also measures engagement in terms of likes and retweets to help you identify which are your most popular tweets, polls and campaigns. Moz- Knowing your search engine rankings can be laborious and confusing but Moz provides an easy to use system for tracking and improving your rankings as well as your competitors’. You can track keywords, find out who your competitors are… and they’ll even give you a free listing score. SEMRush- Another useful tool for knowing your competition and comparing your SEO performance with theirs. Based on your listings and optimization it will provide you with analysis and suggestions for improving your ranking. Crazy egg- This is great if you’re having a UX audit or just want to know more about how users navigate your site. Its comprehensive and accessible visual interface allows you to identify what users are doing on the page, what they are and aren’t clicking and even their mouse movements. It’s a great way of optimizing your site’s layout, design and UX. 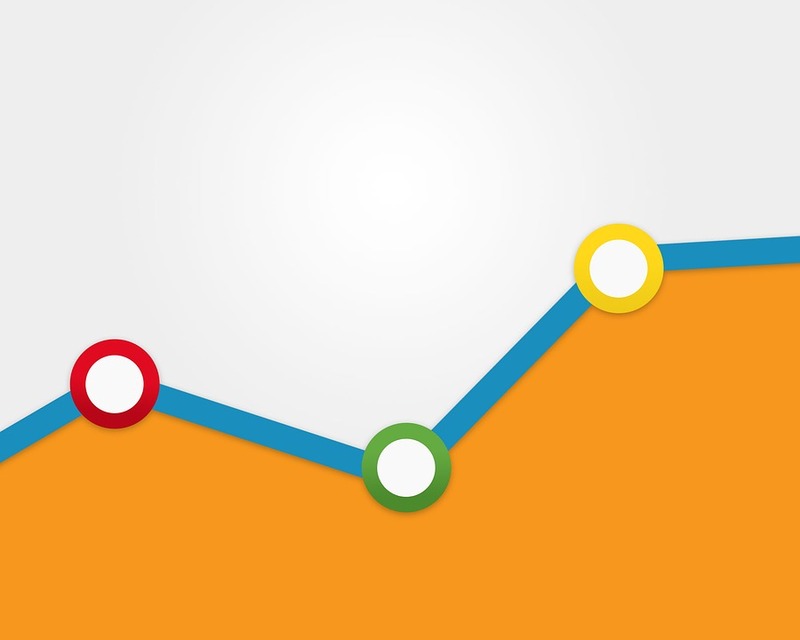 Google analytics- It’s the go-to analytics tool for many businesses, and with good reason. It tracks web traffic, keyword data and provides you with regular reports on visitor stats and conversion rates to help you identify where and how you may be losing visitors. And the best part? It’s completely free! Building a business from scratch at home can be an ideal way to make an income while working around the responsibilities of owning a home and having a family. Although it’s hard work, it can also be very rewarding. If you’ve got more time on your hands, perhaps because the kids are now all in full time school, you may be thinking about how you can drive your business forward. Here are some tips for getting the most out of a home business. Sometimes, there’s no option but to work late into the early hours of the morning or squeeze work into a two-hour slot while the kids have a nap. However, that isn’t going to do anything for the quality of your work. You need to have a clear start time and a clear end time. It may even benefit you to schedule your break and lunch times too. Running a business from home doesn’t mean you can allow yourself to get sloppy; it means you’re the only one responsible for motivating yourself and staying disciplined. The internet is a wonderful tool when it comes to marketing your work. You have the advantage of using social media, websites, blogs and more. You have a real opportunity to connect with your customers and your potential reach is at least ten times more than it would be with traditional marketing. Digital marketing is why it’s possible for many people to work from home and earn a decent income. If you’re unsure of how to use digital marketing to your advantage, you may want to get advice from a professional. You may think that exercise has no link to how well you do in business, but you’d be wrong. A regular exercise routine will keep you fit and healthy so your immune system is ready to fight off any illnesses doing the rounds in your area. Therefore. It’s less likely you’ll have to take days off from work. Running a business from home means you don’t get the luxury of sick pay. Exercise will also keep your brain alert, so you’re ready to tackle problems if they should arise while you’re working. An early morning jog will set you up for a great day of business. Easier said than done, right? Whether you’re a new business or you’re already established, there will always be times when you feel stressed. The key to avoiding stress is preparation. If you know you have a particularly large job to complete, set enough time aside to make sure you can deliver it on time without having to push yourself to the limit. If you feel like things are getting on top of you, take a break. If you try and push through when you’re feeling overwhelmed, it’s likely you’ll make mistakes and could cause yourself more work. Make sure you put money aside throughout the year, so you’re not worried about taking holidays. You deserve to have time to relax and recharge. Do you ever feel that you never have enough time at work? If you’re constantly attending meetings or writing emails and just doing basic administrative tasks, then you’re not getting to those high-impact tasks that are going to be the ones that will really make a difference to you. That needs to change in your business, or it simply won’t grow as you want it to. These low-impact tasks, such as admin and staying on top of emails and phone calls are important and do need to be done. However, they can waste a lot of time and stop you from doing some of the high-impact tasks that will really help your business to get off the ground. So if this sounds like you, where you feel constantly busy but rarely feel like you’ve achieved anything, then it is time to make your work more productive and look for ways to help. Here are a few ideas that small business owners need to think about. All businesses will be using programs like Word and Excel in the everyday running of their business. However, not too many of us really know how to use the programs efficiently. Most users will use these programs and waste a lot of time doing the repetitive day to day tasks. So if you don’t have someone in the business at the moment that is proficient with this kind of thing, it could be worth looking at new ways to innovate. You could also consider outsourcing the work to someone else as it might work out as a good return on your investment. There are many different apps for all sorts of things these days. So why not look to see if there are any that you can use to help yourself in business? If you can find some that will help you to be more innovative and save time, then it is going to help you focus on those high-impact tasks. Take making the staff rota, for example. That can be pretty time-consuming. It does need to be done, so why not look for an app that will allow you to do just that? There can be apps for admin, tax, and accounting, even things for checklists and to-do lists. Hopefully, they will help you to be more focused. If a lot of the time you are going through emails and wasting a lot of time, then you need to think about a new way of doing things. When you need to remember who to follow up with, as well as finding out if your email has ever been opened, it helps to have some help. But there are things like a plugin from Gmail, for example, that will help you to do just that. You can schedule emails, send yourself reminders to follow up with previous emails, and get notified when someone reads your email. So of you’re getting on with the high impact things in the day, you could deal with emails in the evening, but schedule them to be sent out in the morning, so it looks more professional. Such a help. Getting tools and plans in place to help you be more productive is all very well. But if you don’t get in a change of habit, then they aren’t going to help with anything. You need to get in the habit of prioritizing your work and working in set hourly slots to get things done. Set yourself a schedule such as an hour for emails after lunch, rather than first thing in the morning as it can let you get sidetracked. All these tools and tech can help you to be more productive, but only if you let them help you be more productive, and set yourself some priorities first. Are you sick of the daily commute, fed up of difficult colleagues and your boss breathing down your neck? Do long hours feel like you’re working yourself to the bone? Why not escape the rat race- more people than ever have found it possible to make the leap from employee to boss, are able to work for themselves and enjoy all of the flexibility that brings. When you search ‘earn money from home’ online all kinds of dodgy looking results, come up, but rest assured it IS possible, and there are a number of legitimate ways to go about it. Here are just a few of them. You don’t have to be a business tycoon running an enormous company to earn good money from business. It’s perfectly possible to run it right from your own home and still do well. Of course there are limitations, for example, you won’t be able to employ a ton of people or store lots of stock with a home business. So think about an idea that will work. Selling digital items or services work well since you don’t need to worry about storing or shipping physical things. If you’re a designer, you could design and sell logos, blog and website designs, banners, illustration, clip art and much more. Online marketplaces like Etsy are great for selling these kinds of creations, and as a bonus, you don’t need to pay for, maintain and advertise your own website. Selling services is another idea, so have a think about your skills and experience. You can tutor or teach many things with just a laptop, Hafiz Muhammad Ali was able to set up a digital marketing career with just a $90 loan. You could be an online tutor for children helping them with exam preparation, you could be a life coach or a personal trainer/ nutritionist. Video calling programs like Skype make it easy for you to give people this one on one time without having to physically be there in person. Building up a blog from scratch can take time. You need to build a loyal readership, get your name out there and also build up some domain authority before companies will want to work with you. 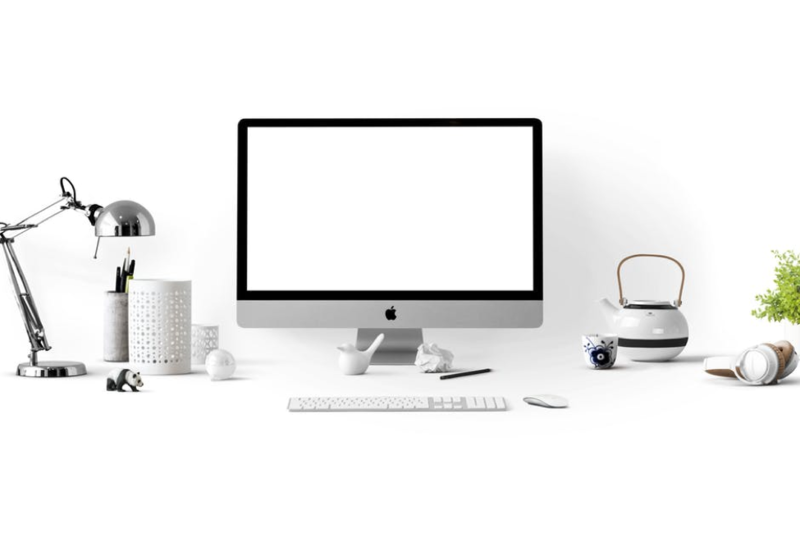 All of this is time-consuming, and do if you’re a newbie and want to set up a blog that will earn you money, be prepared to be in it for the long haul and don’t expect to start earning anything until you’ve been regularly posting for around a year. However, if you already blog for a hobby and your site is established, chances are all of the foundations are in place. If you’ve not been contacted for paid work yet, a few simple changes could make all the difference. First, ensure your design and aesthetic is up to scratch. Companies choosing blogs to work with will expect professional looking designs that are nicely laid out and easy to navigate. If you’re not a whizz with these things no need to worry, there are plenty of inexpensive and even free premade layouts that you can install with just a few clicks. You should register a domain name for your blog, dropping the blogspot.com/ wordpress.com at the end of your link. This makes everything look more professional, and some sponsors will only work with bloggers with their own domain. Ensuring your content is well written, relevant and contains good quality images is also important too. Sites like Pexels and Pixabay have lots of great free stock images to choose from. These things will all make your blog attractive to companies looking for paid links, increasing your chances of making regular money. Affiliate advertising and Google Adsense can also earn you money so look into other ways you can monetize too. There are so many freelancing websites you can sign up to these days, offering plenty of regular work. Freelance writing is one way you can earn cash in this way, once you’re signed up to the site (some will require you to do a short test to check your skills are up to scratch) you can ‘bid’ for jobs. The great thing about freelancing is you can control your workflow, while each piece will have a strict deadline you can choose how many projects you want to take on. This makes freelancing the ideal way to earn extra money if you’re waiting for your blog or business to ‘take off.’ If you’re having a quiet week, go onto the freelancing site and do some work on there. If things are going well, you can do less. There’s no contract or commitment to do a certain number of pieces per week so how much you do is entirely down to you.